Plants in the Fabaceae are not my favorites, maybe because there are a lot of ugly, invasive aliens in that family. But I did a double-take when I saw this one. Isn’t it gorgeous? Not like the typical scrawny sprawling messy plants that I’m seeing all over the area this time of year. 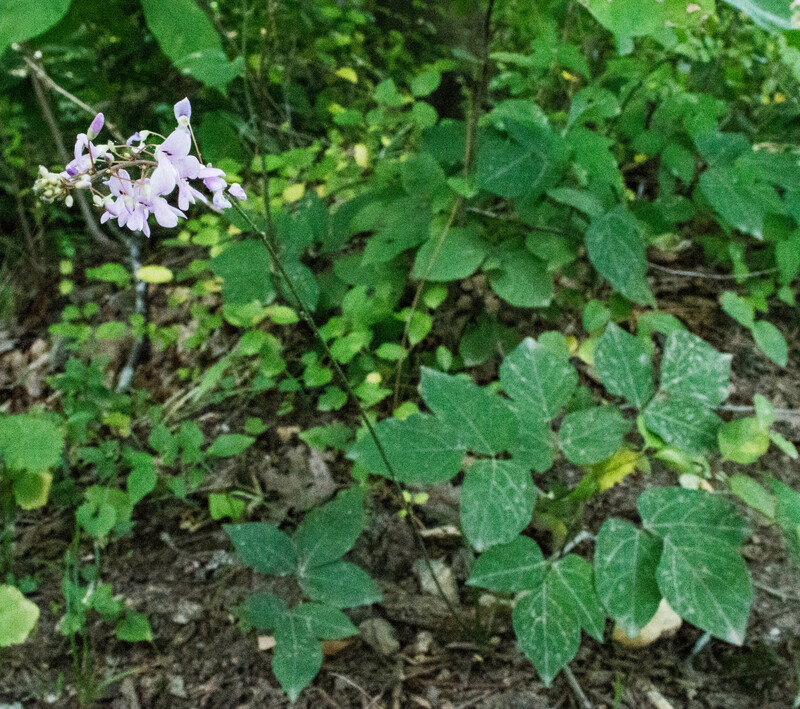 Naked-flowered ticktrefoil has one short stem of large compound leaves standing at about six inches , and another stem (leafless) bearing a panicle of flowers, about two feet up. By the way the leaves in the picture above have dried sand from a nearby trail all over them. I searched the immediate area for more (cleaner) plants to photograph, but this was the only one I could find. There are 42 native species of ticktrefolis in the continental US. This one ranges throughout the east and parts of the prairie midlands. 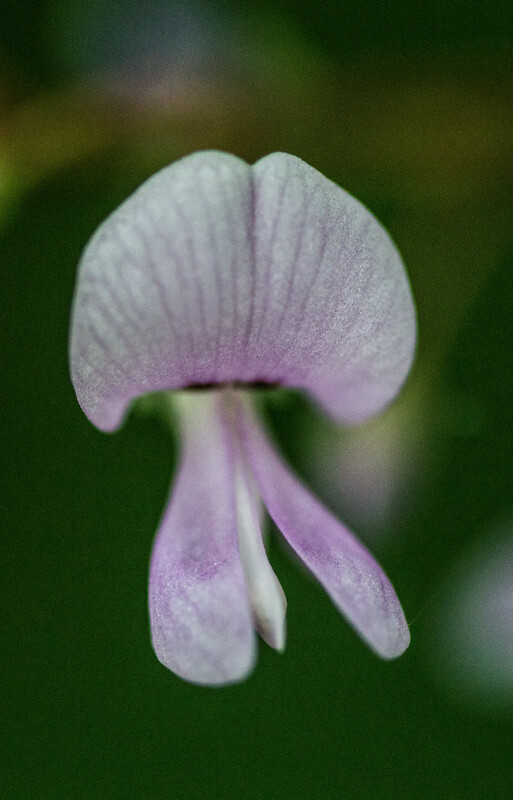 Apparently the name “ticktrefoil” derives from the fact that the seeds have tiny hooks, allowing them to stick like a tick to any passing animal; “trefoil” indicates a 3-leaved (or in this case, leaflet) plant. 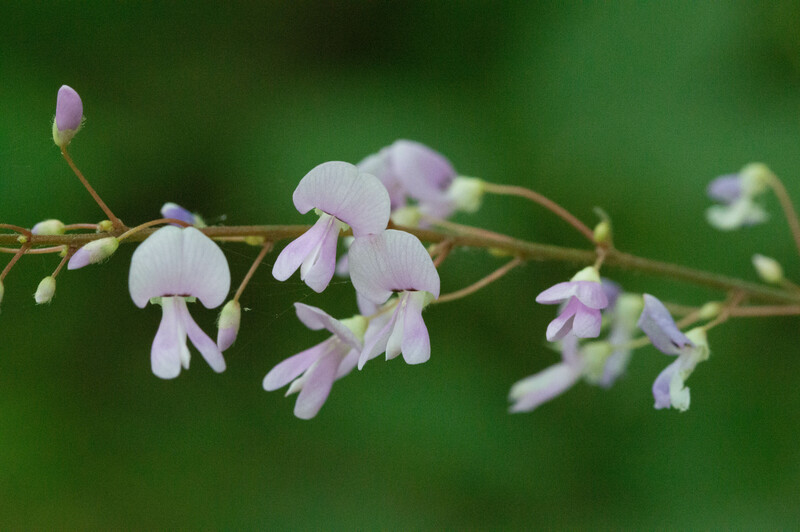 This entry was posted in Uncategorized and tagged naked-flowered ticktrefoil, native plants, pea family, ticktrefoil, wildflowers by elizabeth. Bookmark the permalink.